Special Operations Command has sped up deliveries of the AC-130J gunship as the Whisky model begins to be retired, a command official said May 23. The command’s newest gunship, also known as the Ghostrider, recently reached initial operating capability and is “off and running,” Lt. Col. Jeffrey LaFleur, SOCOM materiel lead for integrated strike programs, said at the National Defense Industrial Association’s annual Special Operations Forces Industry Conference in Tampa, Florida. SOCOM’s Program Executive Office-Fixed Wing has accelerated production of Lockheed Martin’s AC-130J to five airplanes per year, pending funding approval from Congress, he said during a PEO session, adding, “We are putting pressure on the whole system to get this airplane out the door faster.” The Ghostrider is a highly modified version of the C-130J aircraft, and is planned to replace the command's aging fleet of AC-130U/W aircraft, according to the Air Force. The office has saved $287 million on the program by accelerating the timeline to finish deliveries in two years, LaFleur noted. Deliveries are currently expected to end in fiscal year 2023. The command plans to procure at least 37 AC-130Js and 12 have been delivered to the fleet to date, he told reporters after the session. “Faster doesn’t mean more expensive all the time,” he said. LaFleur added that PEO Fixed Wing has made a concerted effort to speed up procurement for its strike programs, including the Ghostrider. “Our simple idea is pull the whole thing left. … How do I do it six months early? How do I do it a year early? How do I do it faster?” he said. As deliveries continue, Special Operations Command is looking for improved capabilities to add to the AC-130J that will help keep it survivable downrange, he noted. Meanwhile, the command must also keep the Whisky variant survivable even as it begins to be phased out of the fleet, LaFleur noted. The AC-130W is considered “the workhorse of gunships downrange,” he added. 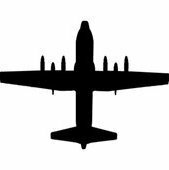 PEO-Fixed Wing is looking for industry for help to quickly upgrade the missile warning system on the AC-130Ws to identify and defeat threats in the field, and to keep the aircraft survivable against GPS jamming and infrared threats, he said. The Whisky variant needs navigational integration software that can combine information coming from sensors on the ground, in space and anywhere else they may be located, he added.